With each passing day, the opportunity to take advantage of the warmer weather and your outdoors diminishes and the postponing of your next outdoor expansion project fades into the rear view mirror of lost opportunity. It is not too late to start the design and build process now and still enjoy the end result this season, but you need to be proactive and start the process right now. Contact our design professionals at IVY Studio and learn how our three step planning, designing and implementing strategy can work for you and your outdoor expansion plans this season. 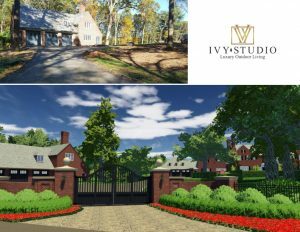 We are IVY Studio, a landscape design and build consulting firm in the greater Boston area committed to beautifying residential outdoors. Our designs burst with creativity and are installed with master artisans with a warrantee of perfection carved in stone. Contact us at 781-591-0300 or vern@ivystudioMA.com and seize the moment.